If you have long commute, and the drone of top-40 stations and news talk is reaching a nearly fatal dose, it might be time to consider a podcast or two. Due to the low production costs involved with making a podcast, there are a wide variety of options across platforms. It's no longer just Itunes anymore; Sound Cloud and Stitcher Radio are just two of the options. Among these selections, one can find a promising and entertaining array of audio fiction podcasts. Be they audio fiction magazines, serials, or recordings of public domain e-books published by Librivox, there are plenty of opportunities for enlivening a monotonous drive. Some particularly choice cuts are in genre fiction, particularly horror and weird fiction-themed podcasts. For the uninitiated, weird fiction is the genre at the convergence of horror, fantasy, and science fiction; it's a sort of melange of a few genre categories most associable with H. P. Lovecraft, Algernon Blackwood, M. R. James and Bram Stoker, among many others (if one looks into the history of weird and horror fiction, they needn't look too far or to see noted “literary” authors moonlighting). Podcasts that will best keep you either of heightened pulse or with a preponderant sense of dread — for reasons other than it being Monday — are Pseudopod and Nightmare. The first is an audio fiction podcast, the second is an offshoot of the horror magazine published by John Joseph Adams. Generally, stories are 45 minutes to an hour long. While Nightmare's narration seems to be the same few actors, Pseudopod has a rotating stable. An added benefit of Pseudopod is Alastair, the editor, giving a brief, philosophical discussion of the tale that finishes each release. 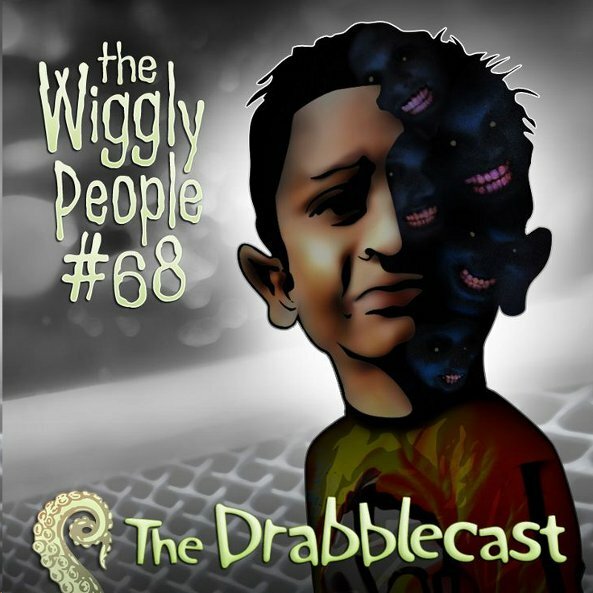 On a slightly different note, Drabblecast finds its narration and character a little more humorous, while keeping to the same weird fiction subject matter. These podcasts are all fine and good. The choices are mainly those of curation, and, as such, are much like a car airbag: they're difficult to fully explore or appreciate until something goes horribly wrong. While that's no endorsement, the above podcasts provide exactly what they promise — horror. In many cases, the tales eschew the indulgence in gore and the grotesque, the visceral visuals, that from time to time capture the horror movie industry; lacking the ability to display it in a temporally compact format, maximizing the effect, they don't quite rely on the shock movies convey so easily — perhaps even flippantly. The basic premise of King Falls AM is that it's a late-night talk show on a small town — that being King Falls — AM band station. That much is obvious from the title. What isn't obvious is that King Falls is the weirdest town in the United States — and, also, the seven-time winner of the Best Small Town in America title as awarded by the King Falls Chamber of Commerce. Haunted forests, a lake monster named Kingsey, the occasional zombie, unidentified flying objects, creepy, old rich guys who are never out during daylight hours, and one virulently racist but ever so sweet sounding witch all share space in King Falls. The series often takes a more comedic tone, but often it gets serious in just the right ways. After the abduction of a local by extraterrestrials, a caller asks not only about whether he'll be the same when he comes back but also suggests he might've come down with some sort of disease from outer space, “Pluto Pox.” The outpourings of fear and sometimes even prejudice can be a bit like any patch of people in smalltown USA, but they're also accompanied by the concern of locals for one another — at least as much as can be shown by calling in to a late-night radio show. Other efforts have been made to increase the show's verisimilitude. Every so often, the broadcast breaks for a commercial. Usually these commercials have been for local businesses, like Creepy Carl's Candy or Howard Ford Beauregard III's e-book, King of King Falls, but one for Mac Weldon involving a beloved character from the series was snuck in. This does keep things looking pretty real: If it weren't for the constant censoring of foulmouthed callers and the subject mater, you might even mistake King Falls AM for an actual broadcast (take that Coast to Coast AM). All in all, it's an effective podcast. At times emotional and at times comedic, often capturing the contentions of smalltown politics and the bluster of radio/television debate. Even the host occasionally hanging up on unruly callers is there — a tactic any caller who gets a little unruly or disagrees with an AM talk radio host can tell you all about (although King Falls AM has yet to acquire the selective mute feature that's quite popular, it's just as easily chalked up to the station being old and light on cash). The pressures of losing the trifling advertising funding it gets and ruffling feathers are all there as well. A few years ago, if you'd inquired about radio drama, it's likely you would be pointed in the direction of NPR. 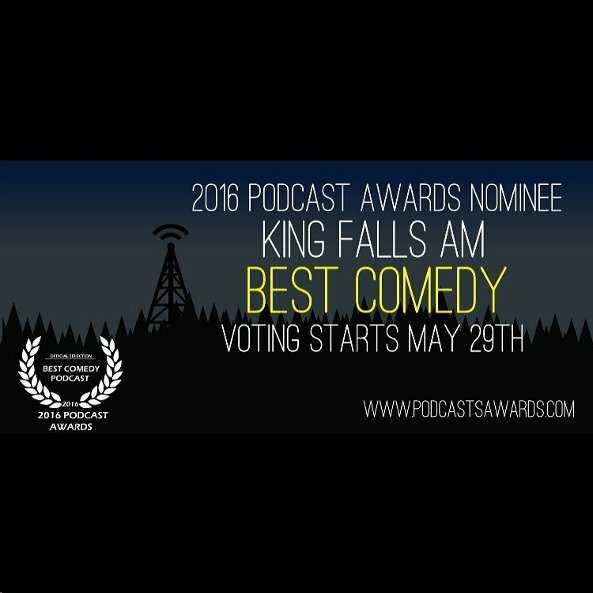 King Falls AM certainly picks up where the likes of Big Town and Dragnet left off. While they're somewhat more spartan in their approach, Drabblecast, Pseudopod, and Nightmare's podcasts are all highly recommended.